When I think about my average work day my hard starts to spin. It seems that my workload is constantly increasing and that I am trying to cram as much as I possibly can into a typical work day. I manage several projects at once so I constantly have competing priorities and I am always juggling deadlines. And it is so easy to go off the rails and get side tracked. I can get sucked into social media platforms so easily and before I know it an hour has passed. 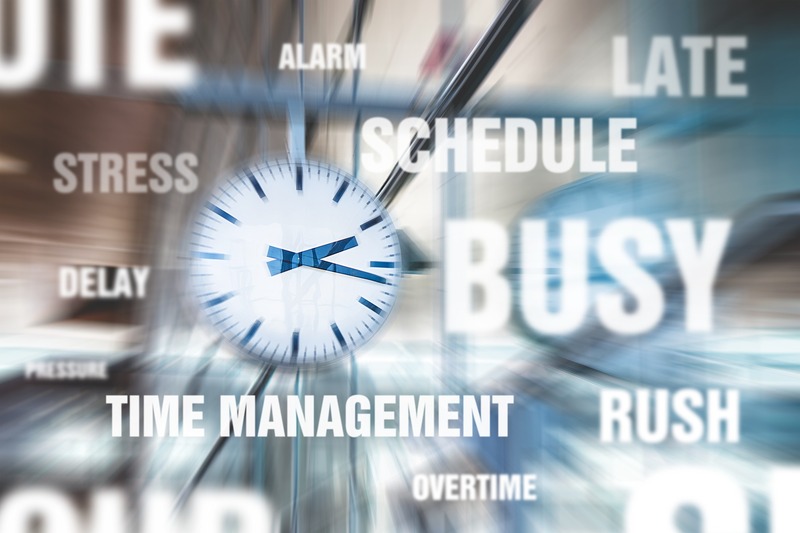 With increased demands on our time at work how can you manage a hectic work day? Read on for some tips that I use to help me get through a busy day! This is two tips wrapped up into one. I love using technology but there is something about writing down a to-do list and using either a desk or wall calendar that makes planning what need to be done and remembering it too. The brain behaves differently when we write things and I tend to remember more when I am writing in my desk calendar. Quill.com also mentions this in their latest blog post entitled: 15 smart ways to manage your crazy work schedule. They recommend using a wall calendar near your desk can provide an overview of your month so that you don’t forget anything. It is great to see what you need to accomplish over the next month. Then you can take these target dates and break down the tasks into smaller chunks. Think about the steps that are required to complete your end goal and incorporate those steps into your daily to-so list. When you break down a project, goal or deadline into the steps required to achieve it, you make it more manageable. When tasks appear to be more manageable, I feel less stress – which is good for my wellbeing! Plus it feels good to get the steps finished as you go and feel like you are accomplishing something. Once you start writing things done in a calendar and start writing a to-do list daily you can see what items / tasks are more important than others. I try and get the most important ones out of the way first when I have the most energy and feel the most focused (which is usually after my morning coffee). Unless I know a task will only take me a couple of minutes I have the easier, less important tasks for the end of the day. Then if my priorities change during my work day or something else comes up (which usually happens) the most important work is done for the day. Once you figure out what tasks take priority for that particular day you may be able to delegate less important ones to others or negotiate a new deadline for items that don’t require your immediate attention. If you are new in your role and are not sure what items should take priority over others, this is a great opportunity to have a discussion with your boss to better understand what is a priority for them or the company. And it is a proactive approach as well. Another great productivity tip that I like to use is to work in sprints. As I work on my to-do list and prioritize my work, I also ‘guesstimate’ how long each task will take. Then I focus and work on that task until complete. After I finish my task, I will take a short break. It can be as simple as getting up and stretching, getting a cup of coffee, or calling a loved on to say a quick hello. Working in sprints will help you to get the work done without getting distracted. Everyone claims to be great at multi-tasking but it is actually really hard to work on multiple tasks at once. Instead I do work sprints and finish one task completely before moving to the next. I actually accomplish a lot more and get more done this way. Do you have any tips on managing a busy work day? Please leave a comment below.